Is Non-Dairy Creamer a Smart Choice for Your Liver? There is little doubt that strawberries, raspberries and blueberries are nutritious, but which one of these berries is best for preserving liver health? Packed with powerful nutrients, berries are an ideal, healthful, liver-friendly food. Strawberries, raspberries and blueberries are some of our most popular berries; each offering unique advantages to upholding the liver’s well-being. Different berry compounds and scientific studies support berries’ value to the liver, but one of these delicious fruits is the winner for liver wellness. In general, fruit is a good bet when looking for a healthful snack. Containing antioxidants, vitamins and minerals, most fruits are the sweet treat preferred by nutritionists. 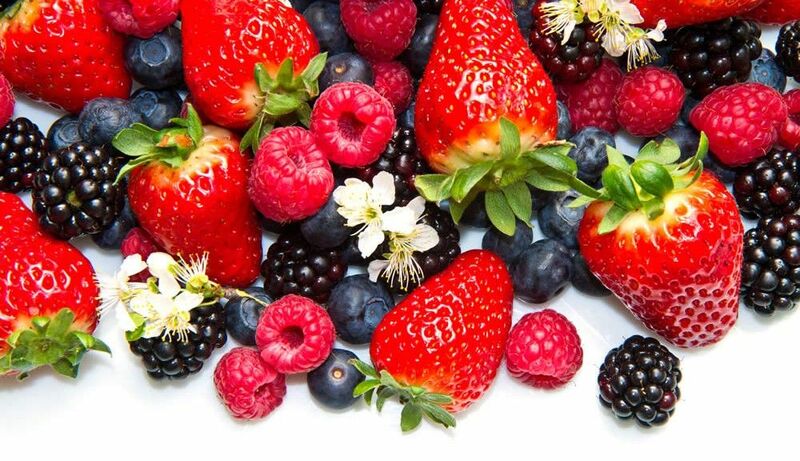 Due to having a tart taste, berries are fruit superstars for those concerned with liver health. This is because tart fruit contains organic acids that are believed to help lower blood sugar levels, burn fat and cleanse the liver. Finnish researchers published a study in a 2010 edition of the European Journal of Clinical Nutrition that examined the health effects of berry consumption. They found that a daily diet rich in berries reduced the level of enzymes released from liver cells when they are damaged (alanine aminotransferase or ALT) by an astounding 23 percent. 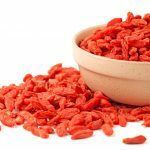 In addition, the test group that consumed an average of 163 grams of popular, locally harvested Scandinavian berries per day had lower levels of inflammation in their blood. Since inflammation precedes liver damage and high ALT levels are a sign of liver cell injury, their conclusion that berries protect the liver is justified. The USDA Human Nutrition Center has ranked foods by their ORAC value, which is a measure of their Oxygen Radical Absorbance Capacity. Strawberries came in as having the second highest ORAC value – a testament to their high antioxidant levels and disease fighting capabilities. With an ORAC value of 1,540 per 100 grams of fresh strawberries, scientists believe that strawberries are capable of increasing the body’s cancer fighting ability. Strawberries contain a substance called ellagic acid, a compound with the ability to cause cell death in cancer cells in laboratory studies. 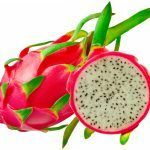 In other reports, ellagic acid seems to help the liver break down or remove some cancer-causing substances from the blood. In addition, strawberries contain one of the highest levels of Vitamin C (ascorbic acid) of any fruit with 260 micrograms per gram of fruit. Vincent Zannoni at the University of Michigan Medical School has shown that Vitamin C helps flush fats from the liver. As a potent antioxidant, rich in ellagic acid and Vitamin C, red raspberries have similar health benefits to strawberries. A unique feature of raspberries is the presence of ketones. Raspberry ketones are structurally similar to capsacin in red peppers, synephrine in citrus peel and zingerone in ginger extract – all of which have been shown to have health benefits. In a recent animal study, raspberry ketones were shown to prevent obesity and fatty liver. Although no human studies have yet confirmed these observations, raspberry ketones have emerged as a popular supplement to help minimize fat from accumulating in the liver. Housed in a tiny, spherical, blue fruit, blueberries contain one of the greatest amounts of antioxidants possible. Earning the top ORAC score, there are 13,427 antioxidants in just one cup of wild blueberries – and 9,019 antioxidants in a cup of cultivated blueberries. Antioxidants are vital in countering free radicals, the harmful byproducts of cellular metabolism that can contribute to cancer, atherosclerosis, liver damage and other age-related diseases. According to James Joseph, PhD, lead scientist in the Laboratory of Neuroscience at the USDA Human Nutrition Research Center on Aging at Tufts University, “When it comes to brain protection, there is nothing quite like blueberries. 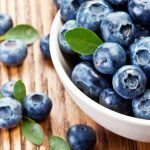 Call the blueberry the brain berry.” For anyone with advanced liver disease, preserving brain function is a prominent goal because unfiltered toxins in the bloodstream can negatively impact the brain. A Chinese study published in a 2010 edition of the World Journal of Gastroenterology examined the effects of blueberries on hepatic fibrosis – scarring of liver tissue. Although just an animal study, the researchers found that blueberries could reduce liver indices, serum levels of hyaluronic acid and ALT, and increase levels of superoxide dismutase. Thus, by inhibiting inflammation and preventing liver cell damage, blueberry consumption appears to be beneficial for people with liver disease. In addition, there is evidence that blueberries could stop liver cancer growth. A University of Illinois laboratory study showed that various compounds in wild blueberries – including anthocyanins – possess the power to help prevent liver cancer in all three phases: initiation, promotion and proliferation. Although iron is an essential mineral, some people with chronic liver disease are on a special diet designed to minimize iron consumption. Unfortunately, excessive iron levels can be harmful to an ailing liver. Typically, only supplemental iron is a culprit of causing harm to affected individuals. However, those with severe hematochromatosis (iron overload disease) may be warned against eating iron-containing foods. At first glance, blueberries and raspberries may seem to present a challenge to those with hematochromatosis because they both contain small amounts of iron. However, unless a doctor specifically advises against eating these berries, there is no need for concern. This is because blueberries and raspberries also contain phenolic acid which binds to free iron, acting as blood-cleansing iron chelators. On the other hand, a valid reason to restrict berry consumption is kidney or gallbladder disease. This is because strawberries, raspberries and blueberries all contain oxalates, substances that could build up and crystallize in bodily fluids to form stones in susceptible individuals. Since they are packed with antioxidants, all berries are beneficial to liver health. In the vein of deeming what berry is best, raspberries come in at a close second thanks to their potential fat-fighting ketones. However, blueberries’ extremely high antioxidant content and scientific data on hepatic support makes them stand out as the top liver berry. Editor’s Note: In addition to milk thistle, N-Acetyl Cysteine, Vitamin E and several other liver supportive herbs, Clinical LiverSupport also contains the leaf of blueberries, this winning liver health berry. http://articles.latimes.com/2012/may/19/health/la-he-raspberry-ketone-20120519, Are raspberry ketones a 'miracle' fat burner? 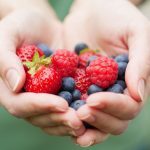 Dr. Oz weighs in, Chris Woolston, Retrieved June 21, 2013, Los Angeles Times, 2013.
http://newsletter.vitalchoice.com/e_article001718702.cfm, Berries May Deter Liver and Metabolic Disorders, Craig Weatherby, Retrieved June 20, 2013, Vital Choices Newsletter, April 2010.
http://www.berryhealth.org/abstracts/RaoAbstract.html, Raspberries and Human Health: Time for Recognition, V. Rao and D. Snyder, Retrieved June 21, 2013, International Berry Health Benefits Symposium, 2013.
http://www.cancer.org/treatment/treatmentsandsideeffects/complementaryandalternativemedicine/dietandnutrition/ellagic-acid, Ellagic Acid, Retrieved June 23, 2013, American Cancer Society, 2013.
http://www.chiro.org/nutrition/FULL/Iron_Too_Much_of_a_Good_Thing.shtml, Iron: Too Much of a Good Thing, Bill Sardi, Retrieved June 21, 2013, The Chiropractic Resource Corporation, 2013.
http://www.doctoryourself.com/liver_15_ways.html, There Must be 15 Ways to Love Your Liver, Retrieved June 23, 2013, Andrew W. Saul, 2013.
http://www.foodproductdesign.com/news/2010/03/berries-for-liver-health.aspx, Berries for Liver Health, Retrieved June 20, 2013, Virgo Publishing, LLC, 2013.
http://www.imakenews.com/vitalchoiceseafood/e_article000402721.cfm?x=b4v1kpq,b2jwwny2,w, Blueberries Found to Fight Cancer and Infection, Craig Weatherby, Retrieved June 23, 2013, Vital Choices Newsletter, 2013.
http://www.indepthinfo.com/strawberries/health-benefits.htm, Health Benefits of Strawberries, Retrieved June 20, 2013, W.J. Rayment, 2013.
http://www.irondisorders.org/diet, Achieving Iron Balance with Diet, Retrieved June 21, 2013, Iron Disorders Institute, 2013.
http://www.lef.org/magazine/mag2006/feb2006_report_blueberries_01.htm, Blueberries: One of Nature’s Most Potent Antioxidants Offers Powerful Neuroprotective and Other Benefits, Russell Martin, Retrieved June 23, 2013, Life Extension, 2013.
http://www.liverdoctor.com/healthy-grocery-list-for-liver-lovers, Healthy Grocery List for Liver Lovers, Retrieved June 20, 2013, Liver Doctor, 2013.
http://www.ncbi.nlm.nih.gov/pubmed, Berry meals and risk factors associated with metabolic syndrome, Lehtonen HM, et al, Retrieved June 23, 2013, European Journal of Clinical Nutrition, June 2010.
http://www.ncbi.nlm.nih.gov/pubmed/20518088, Effects of blueberry on hepatic fibrosis and transcription factor Nrf2 in rats, Wang YP, et al, Retrieved June 20, 2013, World Journal of Gastroenterology, June 2010.
http://www.nutraingredients.com/Research/Blueberries-could-stop-liver-cancer-growth, Blueberries Could Stop Liver Cancer Growth, Stephen Daniells, Retrieved June 23, 2013, William Reed Business Media SAS, 2013.
http://www.webmd.com/diet/features/antioxidants-in-fruits, Antioxidants in Fruits, Jeanie Lerche Davis, Retrieved June 23, 2013, WebMD, LLC, 2013.